This vintage wooden wall spice rack was one of my Fall Junk Finds. At least I think it's a spice rack. It's hinged with a lip to hold spice jars or maybe a recipe book. Anyway, I purchased it for 75 cents at a thrift shop. Since I was going to paint the piece a light colored chalk paint, I first primed it with Water Based Zinsser 123 Primer White . I have had some issues lately with stain bleeding through chalk paint. After the primer, I brushed on CHALKED Light Tint Base Mixed As Vintage Ivory . I used two coats. 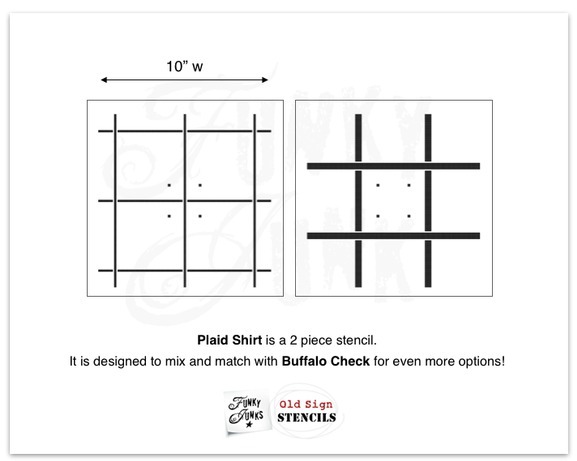 Next I pulled out my *Old Sign Stencils Plaid Shirt stencil. It's a two piece stencil. I stencil with the thicker lined stencil first and then the finer lined one. Line up the small squares from both stencils to keep the stencil uniform. 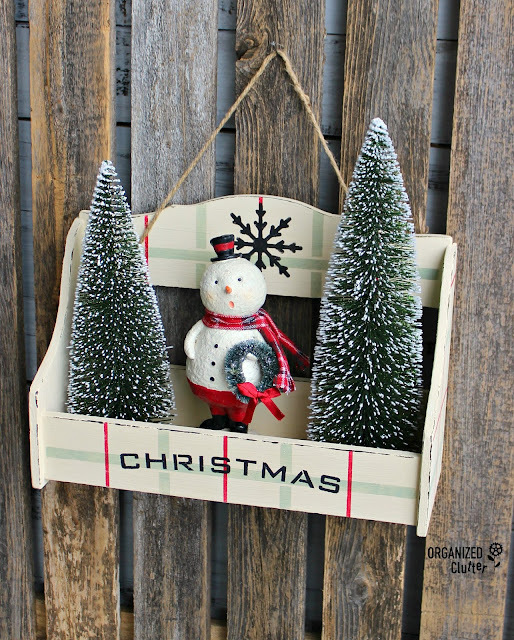 I used stencil brushes from my Dreamweaver Stencil Brush Set and Walmart Waverly Inspirations Chalk Paint in Celery and Deco Art Americana Chalky Finish Paint in Rouge for the plaid lines. 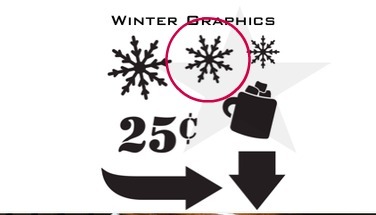 I used the middle sized snowflake from Old Sign Stencils Winter Graphics stencil for the top of the spice rack. I stenciled the snowflake with Ceramcoat Acrylic Paint in Black . It fit perfectly on the center top board. 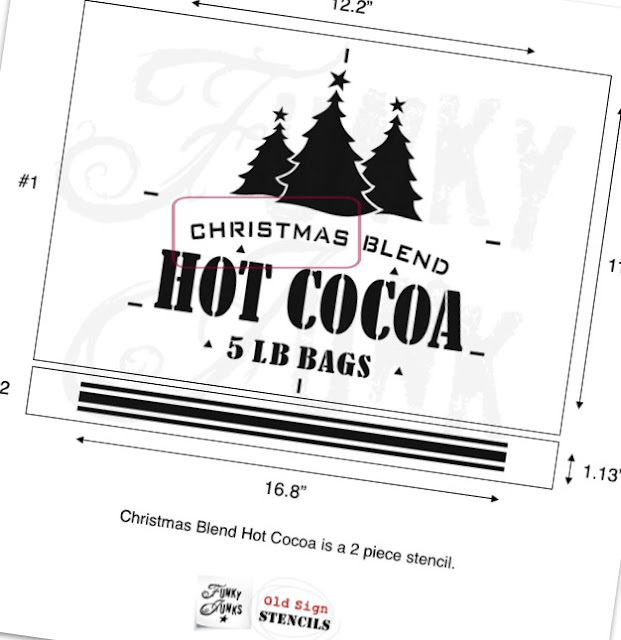 And Christmas from the Old Sign Stencils Hot Cocoa Stencil fit pretty well on the bottom board of the spice rack. I stenciled Christmas in Ceramcoat black acrylic paint too. Look at the edges of my shelf. 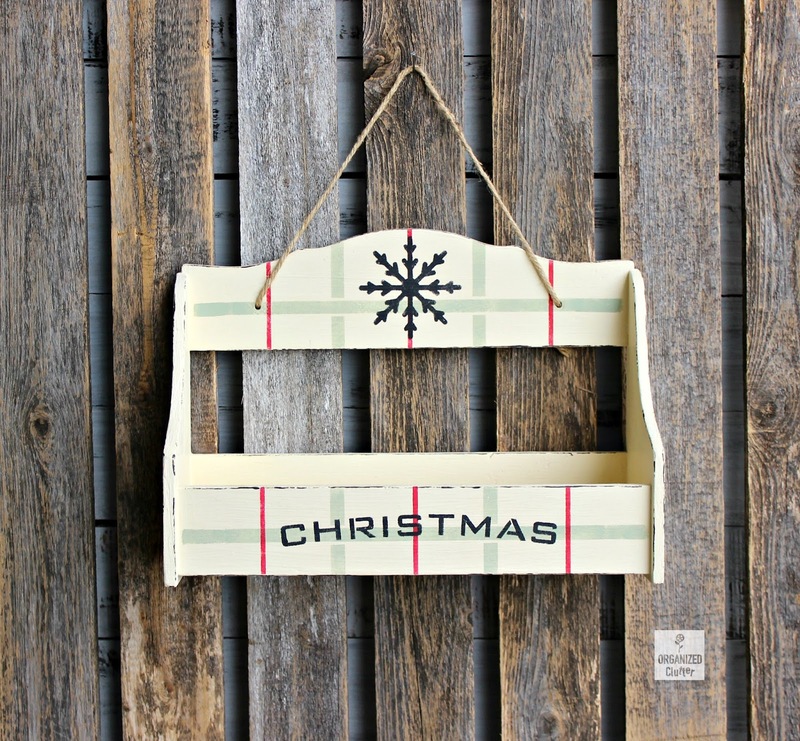 I used the FolkArt Layering Wood Block to FAUX distress my piece. It's so easy. Especially on these small pieces. I use Ceramcoat Acrylic Paint in Walnut Noyer as paint on my layering block. I use the layering block ALL THE TIME. If you want to see more details on the technique click here. 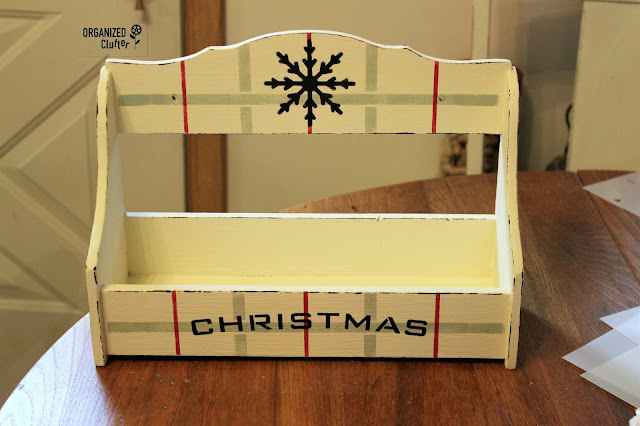 I sealed the stencils and chalk paint with Minwax Paste Finishing Wax in Natural . I applied it with a paper towel. 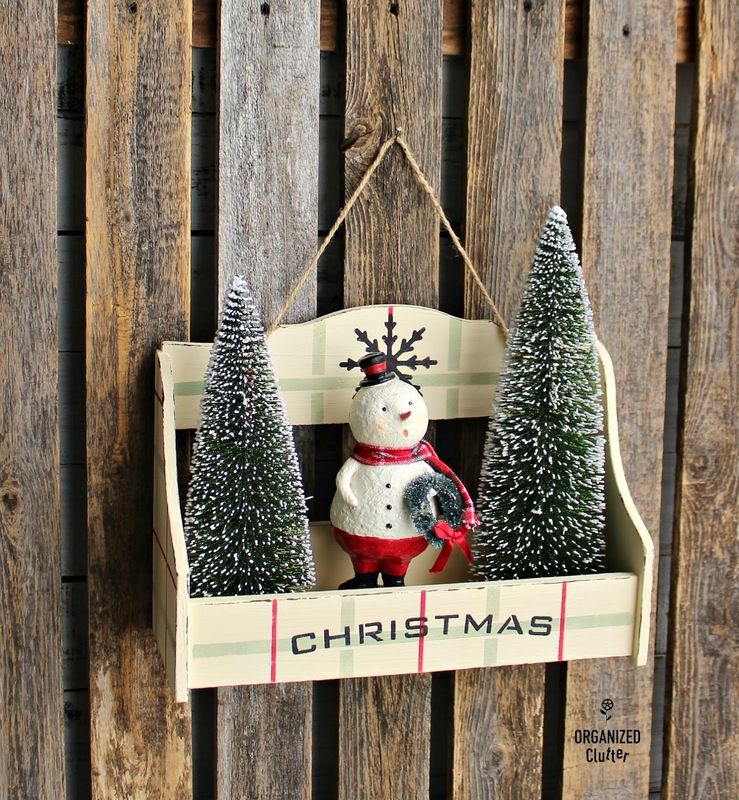 This display piece will get little wear and tear so the wax is a perfect sealer. I poked jute twine through the holes on my spice rack as a hanger. I added a couple of bottle brush style trees and a snowman! Cheap and easy boutique style decor with paint, stencils and thrift shop finds. Start a stencil inventory now! You will be able to mix and match and create just awesome home decor, items to sell, and gifts for family and friends! Each stencil will eventually have several to many uses! Thrift shop stools upcycled with the same Plaid Shirt Stencil. Another great repurpose Carlene. Love you you mixed parts of stencils. I've been following you for a long time now, I never go to the thrift shop with out looking at these things and think of you! I love these plaid stenciled ones. I have a bench - a big one from a rail road station - I wanted to paint black and do the buffalo check in red. I'm still not sure if I will - but, these past few posts have inspired me to seriously think about it....thanks. I too never go to a thrift store without thinking of you in the area that has all the wooden decor. Love your repurpose. 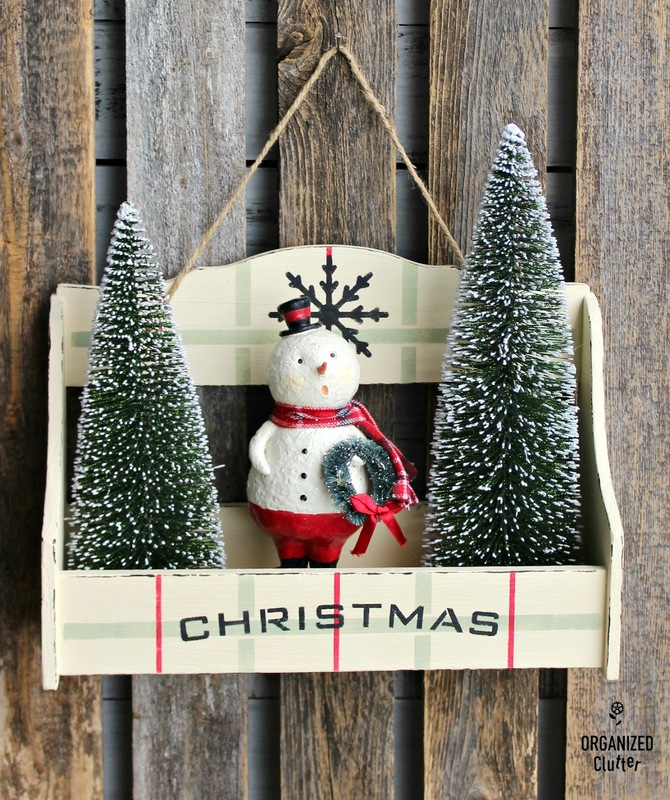 What a perfect spot for your cute, little snowman! Thanks for sharing another fun, clever up-cycle. OMG, this is so darling! I love thrifting (or as I call it junking)!